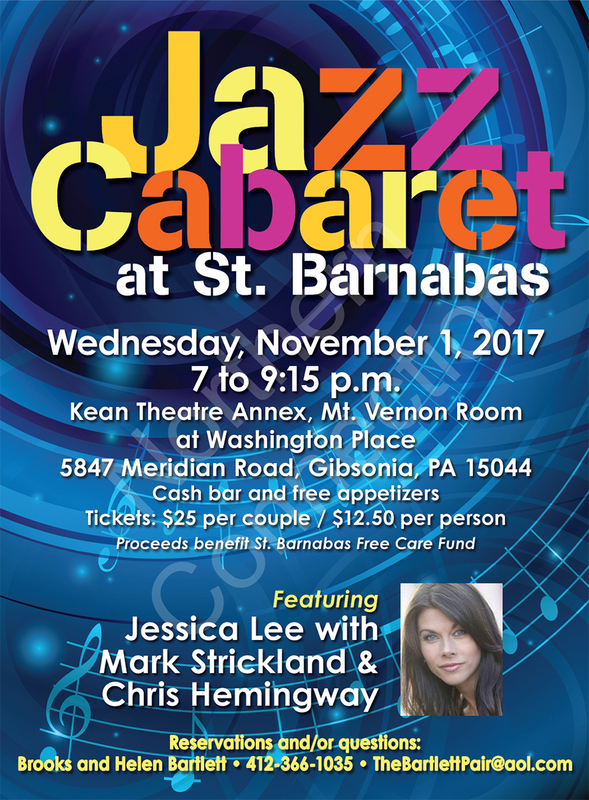 Good afternoon to all of you jazz lovers and supporters of our Jazz Cabaret at St. Barnabas. We are looking forward to our last Cabaret of 2017. The venue will again be in the jazz club setting of the Mt. Vernon Room at Washington Place. We are very fortunate to be having the return of the Jessica Lee Trio. As I noted in her 2016 performance, Jessica is a lady of great talent and truly a renaissance woman – composer, producer, and a graduate of Duke University Law School. She will again be accompanied by Pittsburgh’s own Mark Strickland on guitar and Chris Hemingway on saxophone. Chris is formerly of Pittsburgh but now playing in New York City. The trio mesh so beautifully – each artist complimenting the others so that each song is a unique musical blend of the improvisational skills of great jazz players. We have a small charge of $12.50 per person and all of that money goes to the “Free Care Fund” for needy patients in the St. Barnabas nursing homes. Our jazz efforts and many other efforts allow St. Barnabas to provide free care every year. Your philanthropy and your support of jazz are very much appreciated. Looking forward to seeing you on Wednesday, November 1, 2017.